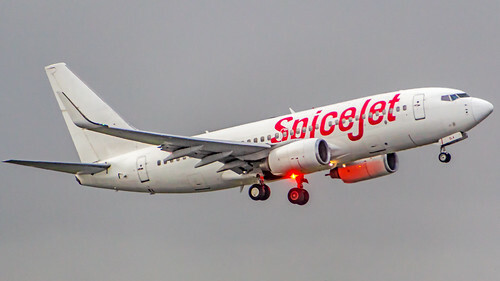 In March 2019, there were reports that lessors were offering SpiceJet up to 50 Jet Airways 737NG aircraft on a short lease of up to 3 years. Since the last few days, lessors have applied to deregister several Jet Airways’ aircraft. This is the process to remove the registration of these aircraft as being operated for Jet Airways. It is now officially confirmed that SpiceJet will take 16 of Jet Airways 737NG aircraft on lease within the next few days. Lessors may be offering a small haircut in lease rentals which have shot up due to a worldwide grounding of 737 MAX. SpiceJet which has had to ground 13 737 MAX is struggling to maintain flight schedules, having cancelled scores of flights. They even returned the two wet-leased aircraft back to Corendon Airlines which further reduced the operational fleet count. Still, they managed to add a few flights out of Mumbai when they got some Jet Airways slots on a temporary basis by cancelling other operational flights. 14 737NG aircraft will help balance the grounding of 13 737 MAX and 1 wet lease aircraft, while 2 737NG aircraft will be used for expansion. SpiceJet has also recruited some of Jet Airways flight crew which will help operate in the expansion. Since SpiceJet is taking the 737NG on short notice, they won’t reconfigure the aircraft. SpiceJet plans to provide an upgraded SpiceMAX cabin at a premium. It will be a bit difficult to manage the inventory in case of last minute aircraft swaps. It will be interesting to see how it plays out. I don’t think so they will ever reconfigure Jet Airways 737NG aircraft. An airline, which cannot even maintain a fleet with a consistent livery won’t pay a huge amount to reconfigure aircraft, will they? 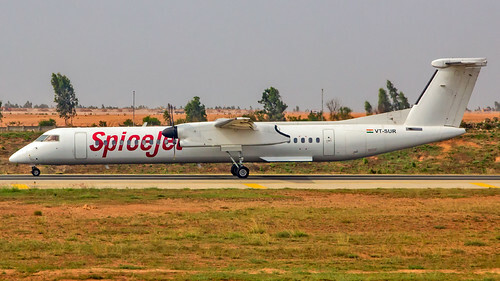 Some SpiceJet aircraft are completely painted white with just a red SpiceJet logo painted on them, some aircraft have one engine painted red whereas the other engine is painted white and so-on. We will see more white aircraft in the sky with a red SpiceJet logo which may soon be called their de-facto livery. So much so for brand recognition. SpiceJet may also have a short term liquidity crisis on hand. They will take 16 new aircraft on lease and that is just the first lot, they are also on a hiring spree, they posted a meagre profit last quarter on the backdrop of a loss before that which they have to cover up and they don’t have a huge war chest like IndiGo. SpiceJet will be banking on a huge compensation from Boeing for the grounding of 737 MAX which will help them a lot financially. But that won’t come immediately. Till then they will have to find ways to fund the expansion that they have kicked off. Just a thought, we know SpiceJet has been planning to induct premium heavy A330-300 aircraft and fly to the UK. Now with lessors de-registering two Jet Airways A330-300 aircraft, SpiceJet adding a premium cabin on the domestic front and Jet Airways stopping flights to the UK altogether, will SpiceJet firm up their plans to fly to the UK? What are your thoughts on SpiceJet expansion using Jet Airways aircraft and crew?